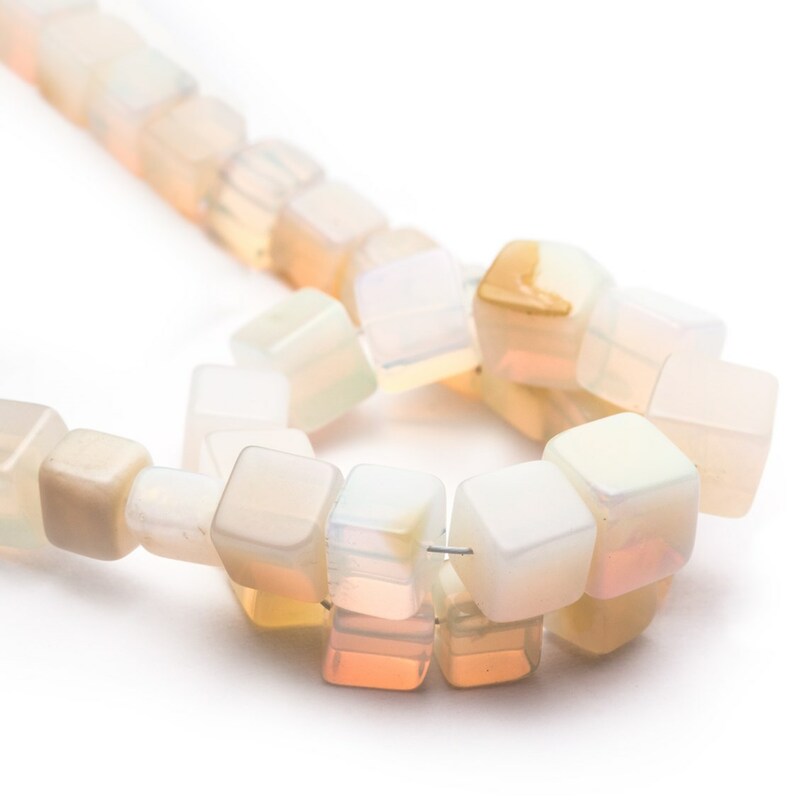 These Ethiopian cube beads are full of opalescent fire in ultra-violet, green, red, turquoise and royal blue and their colours are similar to the colour of the Mexican opal. They are predominantly opaque with a few on a strand being translucent. 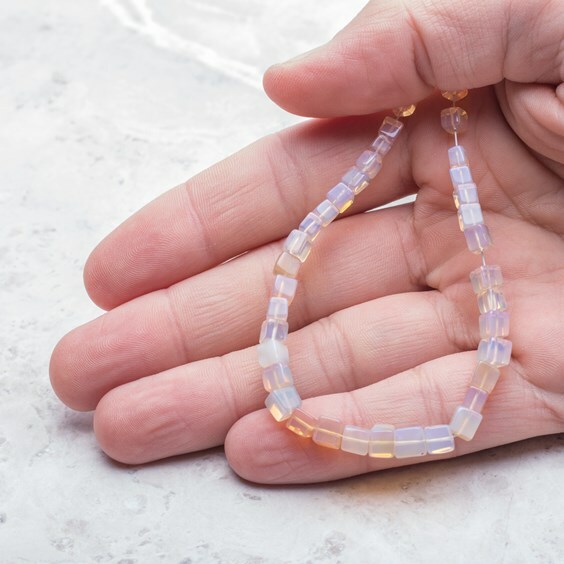 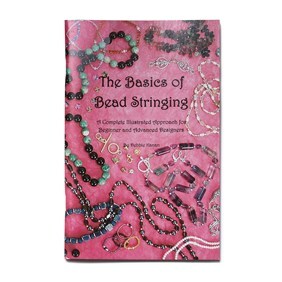 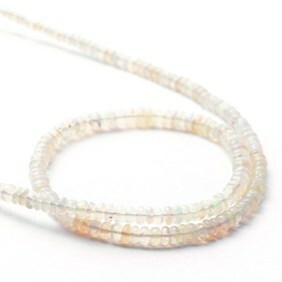 There is a mixture of green-yellow, green-blue and caramel coloured beads on the strand which is extremely difficult to capture in a photograph and they really need to be seen in person to appreciate their colours. 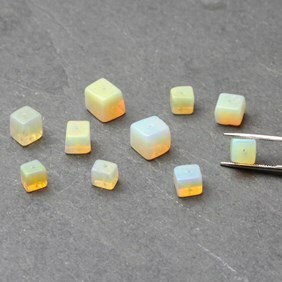 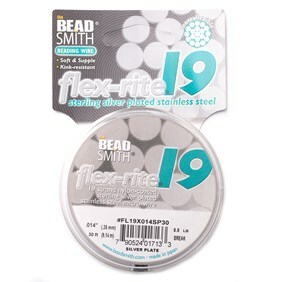 These cube beads are fully drilled, temporarily strung and graduated so when buying loose beads you will receive a good mix of sizes. If you would like some to match let us know and we'll do our best to match them for you.